We provide Olympia Video Production, as well as for Tacoma, Seattle, and southward to Portland, Oregon. We create our high-quality videography in the Puget Sound area. 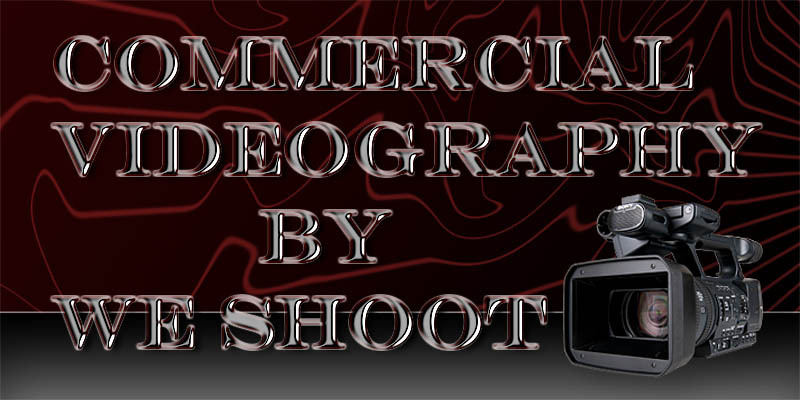 This website showcases commercial video production created by We Shoot and used by businesses to promote, demonstrate, and advertise products and services. Whether utilizing all video, all stills, or a combination of both, We Shoot's capabilities in both the capture and post-production facets put your products and services in a great light for all to see. Our videography plays well on Youtube, Vimeo, and other streaming websites, as well as on large-screen television sets. All video is shot in full 1080 High-Definition, and can be converted to lower resolution formats if needed. Take a few minutes to view our videos below, and take a look at our still photography website at weshoot.com. You will agree that We Shoot should be your videographer. If you need an industrial video like the one above, contact us and we can create one for you! If you need a great video to market your business, like the one above, contact us! Do you have a product to advertise? We will make a video for you that shows it in the best light. We can make jewelry sparkle, as in the video above. Sparkle sells! Here is a combination of real video with our high-resolution still photography that makes low-cost shoes look like they should cost more!